The Kashmiri separatists have started making all sorts of noises against the central and the state government as the National Investigation Agency (NIA) while probing the terror funding by Pakistan is getting closer to the wealth amassed by the top separatists and their kin. The NIA is learnt to have so far identified several known and benami prime properties allegedly owned by 20 of these people in London, Kashmir, Jammu, Gurugram, Noida, New Delhi and other high-value places. Nine separatists and their hawala conduit have been arrested and are currently being questioned by the NIA and the Enforcement Directorate (ED). This has led to panic reaction by the top separatist leaders, Syed Alishah Geelani and Mirwaiz Umar Farooq, who are almost every day cursing the Modi and Mehbooba governments for the NIA raids in the Kashmir valley. They have also accused the “Indian media” of maligning them. The Mirwaiz raised the issue while addressing those who had come to offer Friday prayers in Srinagar’s Jama Masjid. 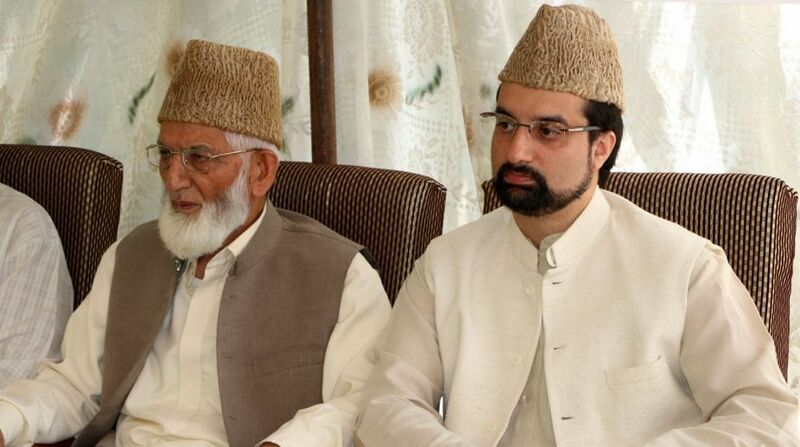 Geelani’s son-in-law Altaf Ahmad Fantoosh, who is chief organiser of the All Parties Hurriyat Conference (APHC), Geelani faction, has been taken into custody by the NIA and Geelani’s two sons were questioned in connection with the terror funding case. Some close confidents of the Mirwaiz have also been questioned and an influential trader, Zahoor Watali, who is said to be related to a top IPS officer of J&K police and is politically connected at high level, was arrested last week. A list prepared by intelligence agencies about properties of the separatists indicates that some of them owned anything between 9 to 25 landed properties across the country. 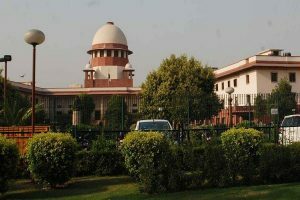 Interestingly, the separatists are opposing tooth and nail any move to scrap the Article 35A of the Constitution that debars outsiders from owning any property in Jammu and Kashmir, but they themselves have allegedly purchased high value properties outside J&K in New Delhi, NOIDA, Gurugram and various other places. The investigation agency has reportedly come across instances of the terror funds having been systematically diverted as a result of which the separatists are on the radar of the NIA and ED. The separatists and their kin reportedly under the scanner are Syed Ali Shah Geelani, Altaf Ahmed Shah, Naseem Geelani, Nayeem Geelani, Farooq Ahmad Dar, Shabir Ahmad Shah, Zahoor Watali, Ghuma, Nabi Sumji, Asadullah Allahi, Yasin Malik, Mirwaiz Umar Farooq, Abdul Rasheed, Aga Sayeed Hassan, Mehraj-ud-din, Mohd Yousef Lone, Ghulam Mohammad Mir, Bashir Ahmed Bhat, Asiya Andrabi, Nayeem Mohammed Khan and Farooq Ahmed Bagoo. The investigators are learnt to have come to know during questioning that one of the conduit at times would pick up funds from the New Delhi based Pakistan High Commission and then pass these on to the concerned in the valley by charging a commission of 9 percent. The separatists came under the scanner of the NIA and ED when in a TV sting operation a top separatist claimed that funds were coming from Pakistan for terror activities, stone pelting and burning schools in the valley. However, the separatist leader, later, alleged that the sting was “doctored”.